When email emerged, it stood as a unique way for businesses to market themselves and stand out from the competition. Nowadays, almost every company has some form of email marketing strategy. The result? People’s inboxes have no shortage of promotional messages and content of mailing lists. With only so much time and attention for people to spend on their email, your message becomes just one of many. Companies no longer stand out simply because they have an email marketing campaign. However, that shift to email meant that most businesses abandoned their direct mail efforts in favor of digital ones. Sending a physical letter is now the way to stand out and make an impression on your customers. Even millennials appreciate receiving letters and offers in their physical mailboxes. 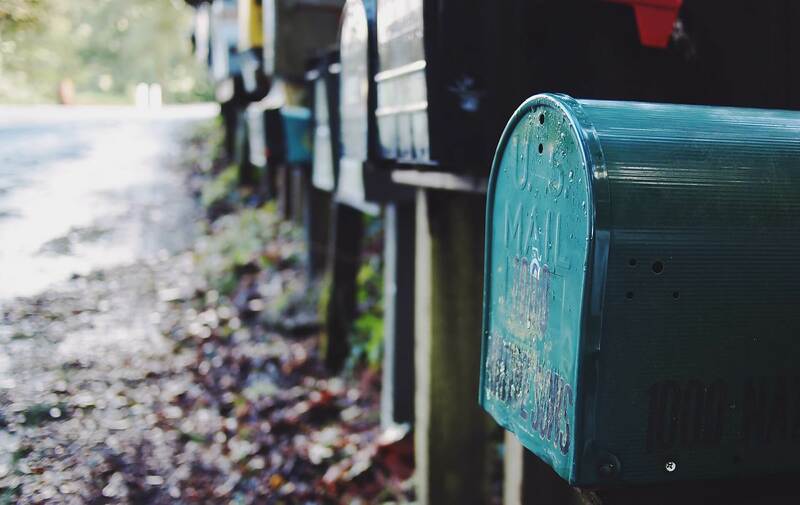 With almost 70% of Americans thinking that direct mail is more personal than email, you can successfully connect to your audience in a way that makes you seem more human – which is a great benefit for your business. Why Is Direct Mail So Great? That personal connection through direct mail is just one of the valuable aspects of adding it to your marketing campaign. Despite the volume of mail received throughout the year, people will still flip through catalogs and open letters. The tangibility of having a piece of paper in their hands can help better engage the reader, both by making it feel real and by requiring less mental resources to process than staring at the screen. The result is that direct mail anchors in the memory and stays with the recipient for much longer. While it does take effort to run a successful direct mail campaign, you don’t have to treat it as a separate entity from your digital marketing efforts. Instead, you’ll see much more value when you bring the two together. Direct mail is a way to catch your audience’s attention and draw them into your other content – including your blog, your website, and your products. When used effectively, you will start to see results. Any experienced marketer understands the importance of sending the right marketing materials to the right people at the right time. The same applies to your direct mail marketing campaigns. Despite the benefits, you don’t want to send out letters to every single potential member of your audience. Not only is that a waste of paper, but it also won’t get you the results you want. Instead, you want to think of how direct mail can best serve the bigger picture of your marketing strategy. Your goal is to find the people who are likely to respond to direct mail – otherwise, you’re looking at sending out ineffective messages. This means identifying the people in your audience who regularly check their mailboxes; the exact groups will depend on who’s already a part of your customer base. Aside from these efforts, you can also use direct mail to fill the gaps in your digital marketing efforts. Do you have customers who never respond to your emails, even though they signed up for your mailing list? Then you may have a prime pool of candidates whose attention you can attract by sending out a direct message through a traditional post. Once you know whom you can target with your direct mail efforts, you’ll be able to create much more effective and engaging campaigns. Don’t forget that the customers on your mailing list aren’t going to be near the bottom of the sales funnel, waiting for the push to make a purchase. Instead, they’ll be closer to the top, where a hard sell will fall flat. Address your audience’s needs appropriately. No matter what type of marketing campaign you’re running, personalizing content for your audience is the key to success. With so much content and information thrown their way, customers naturally feel drawn to the brands that connect to them on a personal level. Since one of the major appeals of direct mail is that it makes recipients feel special, you can go even further with creating personalized content in that mail. Images. Use of images in your direct mail can attract reader’s attention. With the right choice of images based on your target audiences, you can better engage recipients. Offers. Success comes when you put the right offers in front of the right people. Don’t stop the process at thinking about what products you offer your customers, but consider the method of offering the products, such as tweaking your CTAs. Content. Readers want marketing content to be short and to the point, but they also want more customization than swapping out the name portion of “Dear [name].” Incorporating other aspects of your customer’s data into your copy can help them feel like they’ve received a message meant just for them. If you’re aiming for success, you can’t ignore personalization in your direct mail strategy. While direct mail may be an older form of communication than its digital counterparts, that doesn’t mean you have to go completely old school when building your strategy. In fact, you can automate your direct mail efforts just like you can automate digital marketing. It’s even possible to personalize your automated print to hit those critical customization points for your audience. Some prime candidates for automated print include news updates, event announcements, ads and discounts for targeted products and items left behind in the shopping cart, and follow up materials after a purchase. Automated print gives you a way to consistently reach the members of your direct mail audience, ensuring that you don’t miss out on an opportunity to help secure return customers. And since the processes are automated, your marketing team can continue to focus on other core efforts in your marketing strategy. Automated print also makes it much easier to include customized content – including personalized URLs. By including a link to a landing page that’s specific to the customer, you can continue the process of personal engagement beyond the content you’ve put in your direct mail. This process involves including the customer’s name and other relevant personal data on the page to create a lasting impression. When you make that effort, it becomes much easier to bring your customers back online, where they can better interact with your digital content. The best personalized URLs include a customized greeting and an engaging and interactive experience. Just what a landing page will include depends on the goals of your campaign, but when you create the right content, you can help drive responses from your customers. Even better, by having a custom URL waiting for every customer, you know when they access your site. 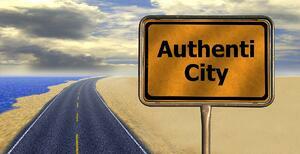 With an expressed interest, those customers are prime targets for more communication. Set up automated email responses for visits to personalized landing pages to engage them even further. In an ad or email campaign, it’s easy to see where your business is coming from by tracking what steps and links your customers took to get to you and make a purchase. While you can include a URL in a direct mail message (and you should tie back into your online content), it’s not yet possible for customers to tap a link on a physical piece of paper and end up on the web. So how can you track the success of your direct mail campaigns? Specialized URLs once again come into play. Even if you don’t make individual URLs for every customer that you send a direct mail offer to, you still need to create specialized URLs for your direct mail campaigns. With that URL only available through your mail content, there’s no doubt about where customers who visit that page come from. The trick is to create simple URLs that are easy for customers to remember and type in on their phones. Including QR codes in your messages can also create a simple way for customers to reach your content without making a typo or getting distracted while searching for your site on Google. Once your customers make it there, you can then see a clear connection between what site visits and business were the results of your direct mailing efforts. That data then becomes the backbone of tracking ROI for your marketing campaigns. Of course, to be truly effective, you’ll want to establish clear goals beforehand, just like you would when tracking any other key performance indicators. Once you see what options bring in business and which ones don’t, you can further enhance your marketing strategy for your audience. Incorporate visuals. Digital marketing has established a place where customers like to get information fast, so they can move on with their lives. While direct mail may capture your reader’s attention a bit more, it’s still not the place to overload your readers with information and bulky paragraphs. Instead, use visuals to engage your audience, and make sure your image choices are relevant and high quality. Make the next step clear. Your direct mail marketing campaign has targeted the right recipients, utilized customization, and stirred your reader’s interest in your brand. You don’t want to accomplish all that and give your audience no clear next step. You need a CTA that’s compelling to read and easy to recognize – and it gets even better if you focus on one CTA per campaign so that your customers have no question of what they need to do next. Connect to your online efforts. While direct mail serves as a great way to capture your audience’s attention, no one’s clamoring to go back to the days of mail order and contact for services. Instead, digital shopping is reigning supreme, and you need to acknowledge that in your marketing efforts. Connect back to your digital efforts, and you’ll be able to best meet the needs of your customers while giving yourself a way to track your campaign efforts. With the right use of best practices, you can create a direct mail campaign that makes it possible to reap the marketing benefits of contacting your customers through a reemerging method. Personalized brochures. Brochures can help you promote a service or product, but you don’t have to send the same brochure to everyone. Include those personalized elements that connect back to the customer in your brochures to pique their interest. Samples. Do you have a tangible product sample that you can send? In a world where shoppers rely on photos and product descriptions to make purchasing decisions, a sample can give them a tangible idea of what your products will be like. Dip into multichannel campaign ideas. Buyers are engaging with brands in numerous places, and your direct mail campaign can fit into the larger picture of your marketing efforts. Create direct mail content that builds on what you’re doing with other platforms, such as social media. Direct mail is quickly coming back into the limelight as a marketing strategy. As the battlefield expands outside of the digital realm, it’s time to start leveraging direct mail to promote your brand.